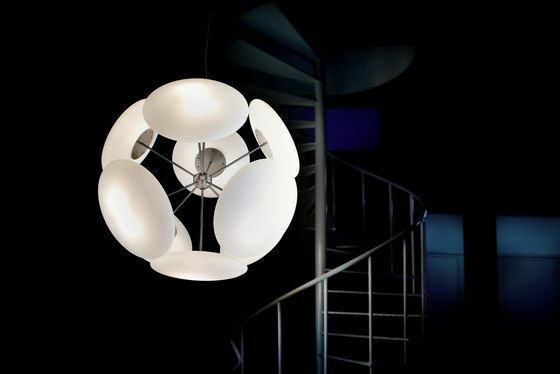 Pendant light with rotational-moulded polymer diffusers. The metal components are brass with a glazed chrome (steel) finish. Almerich reinvents itself merging it's best tradition with the most actual contemporaneity, searching for sophistication based on craftsmanship, innovation and culture of design.